Plan a weekend trip to Norfolk in Southeastern Virginia where you can take a guided tour of the largest naval station in the world, view over 30,000 objects at the Chrysler Museum of Art, and take a stroll through the beautiful Norfolk Botanical Garden. Best things to do in Norfolk, VA for families include the Virginia Zoo, Nauticus National Maritime Center and Harbor Park. 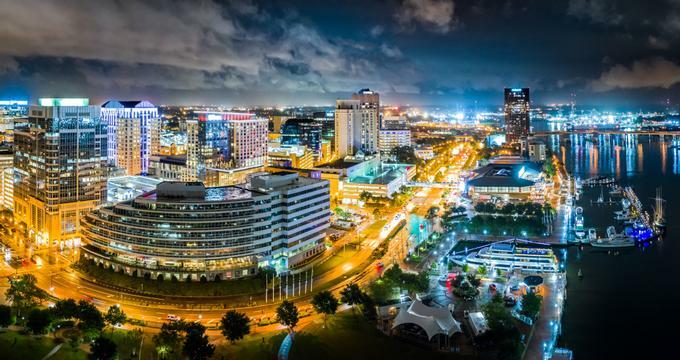 Located in the artistic district of Ghent overlooking a small body of water known as The Hague, the Chrysler Museum of Art is one of the major art museums in the Southeastern United States and one of the best things to do in Norfolk, Virginia. 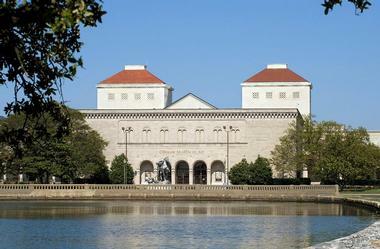 Originally founded as the Norfolk Museum of Arts and Sciences in 1933, the museum grew through a large donation of art by automotive heir Walter Chrysler and today is home to over 30,000 objects that span thousands of years of world history. The collection includes sculpture from the Middle Ages, and American and European paintings by famous artists such as Tintoretto, Eugene Delacroix, Edouard Manet, Auguste Rodin, Paul Gauguin, Jackson Pollock, Andy Warhol and Franz Kline. The Museum also houses one of the world's greatest collections of glass, distinguished decorative arts, and an excellent collection of photography. Admission is free. Norfolk Botanical Garden is a 155-acre public botanical garden that features over forty themed gardens, including seasonal gardens and a special WOW Children’s Garden. 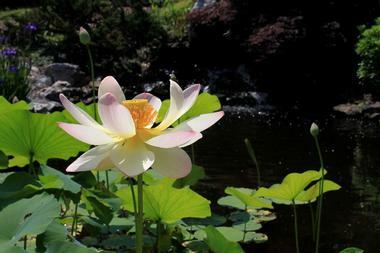 Located on Azalea Garden Road, themed gardens include a tranquil Japanese Garden designed in the traditional hill and pond style of Japanese gardens; an Enchanted Forest filled with ancient oak, hickory, and pine trees that creates a haven for birdwatchers and nature lovers; a Hummingbird Garden that boasts a mixture of annuals, perennials, shrubs and trees that attract these tiny birds; and an amazing Tropical Display House, which features lush foliage and bright flowers that are found in tropical rainforests around the world. 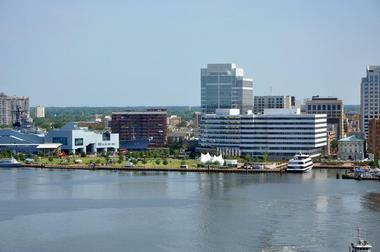 If you are wondering what to do in Norfolk, Virginia with kids, this is a great place to visit. The World of Wonders: A Children’s Adventure Garden is a must for the kids with several interactive educational areas where children can learn about plants and botany through play. The Virginia Zoo is situated next to Lafayette Park in Norfolk and is home to more than 500 animals from the African elephant to the tiny dart frog, as well as countless plant species. The Zoo features several specific habitats that house animals from Africa, Asia, Australia, North America and a variety of excellent exhibits. ‘Trail of the Tiger’ features unusual and rare animals from Asia such as Malayan tigers and tapirs, orangutans, oriental small-clawed otters, siamangs, and binturongs. The Zoo is also well known for its beautiful gardens, which are designed to provide fresh plant treats for the zoo’s residents. The Zoo holds a variety of educational and conservation-focused events throughout the year, including the popular ‘Zoo Snoozes,' where visitors spend a fun-filled night at the zoo, playing games and activities and visiting the nocturnal animals. 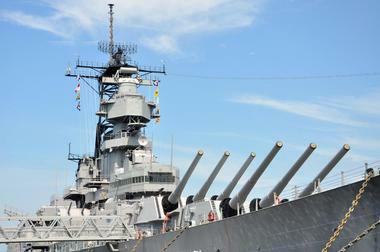 Tthe USS Wisconsin is a battleship that served in the Pacific during World War II and later during the Korean War. After being decommissioned, it was reactivated in 1986 and was used during Operation Desert Storm in 1991. After being once again decommissioned in late 1991, it became a museum ship operated by Nauticus, the National Maritime Center. Visitors can take self-guided tours where they can see several areas and levels of the ship including officers’ staterooms, offices, a post office, a chapel, and the mess where sailors ate their meals. On the 90 minute guided “Topside Tour,” visitors can see additional areas such as the captain’s cabin, the admiral’s cabin, and more. Founded in 1988, Nauticus National Maritime Center opened to the public in 1994 at the location of the former Banana Pier. The nautical-themed center includes many activities and things to see including a large screen theater, hands-on exhibits and interactive theaters. 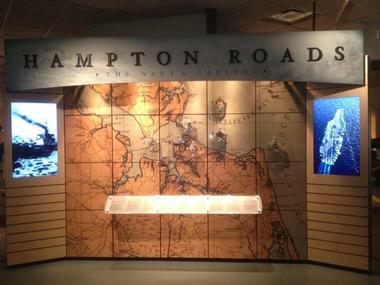 The Hampton Roads Naval Museum is on the second floor where visitors can see other science exhibits, a shark lab, and a horseshoe crab touch tank. Opened in 2007, the Half Moone Cruise and Celebration Center is a cruise ship pier, an event venue, a marina, and a museum. 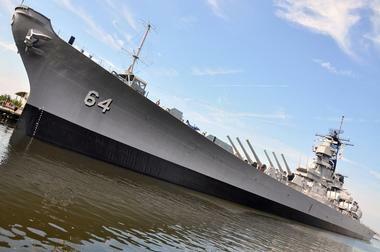 The USS Wisconsin is also a part of Nauticus. 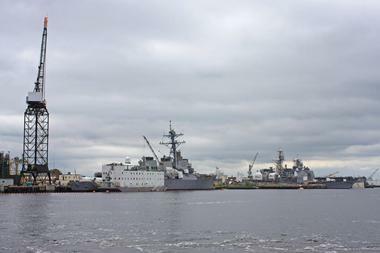 Naval Station Norfolk is the largest naval station in the world. The base takes up about four miles (six km) of waterfront and contains seven miles (11 km) of pier space. There are 11 aircraft hangars and 14 piers as well as 134 aircraft and 75 ships. The base is also the home of the largest number of U.S. Navy forces in the world. There are 45 minute tours guided by naval staff who show visitors the many ships and aircraft carriers in addition to one of the busiest airfields in the U.S. 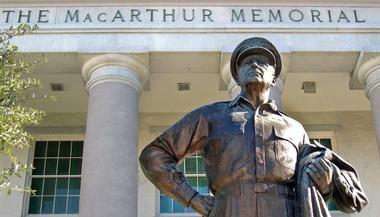 The MacArthur Memorial is a museum dedicated to the memory of General Douglas MacArthur. 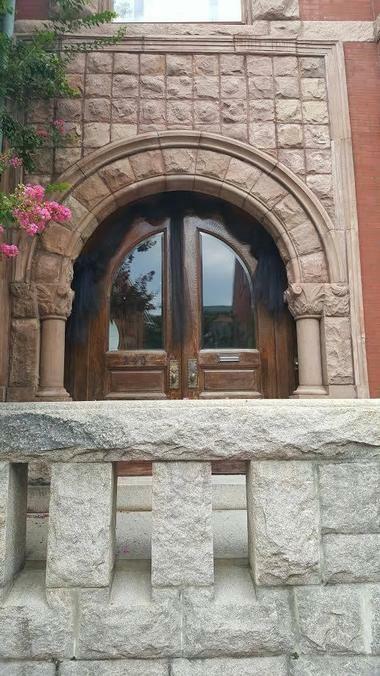 It is located on Bank Street and consists of a welcome center, an education center, an archive and research center, and a theater. The memorial preserves the story of General MacArthur and also those who fought with him during World War I, World War II, and the Korean War. In the museum there are artifacts, murals, paintings, sculptures, and vehicles. In addition to the museum, the memorial offers tours, outreach activities, and special events such as film screenings, lectures, and more. 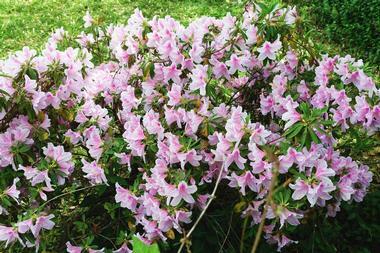 Located on North Shore Road, the Hermitage Museum and Gardens is a historic home and art museum. The Sloane house sits on the shore of the Lafayette River and is an example of an arts and crafts estate dating from the early 20th century. The Sloane collection consists of more than 40,000 objects that represent 5,000 years of fine art and history from 30 different countries. In addition to its permanent collection, the museum offers temporary exhibits in its Changing Galleries space. The gardens consist of 12 acres of forest, wetlands, and semi-formal gardens that are often used as the setting for special events. Sailing Harbor Cruises is a cruise company located on Waterside Drive. It has been operating the American Rover since 1986 and offers cruises through the waters around Norfolk and surrounding areas. Carrying up to 129 passengers, the ship is 135 feet long and is known for its red sails: these are red tan bark sails. 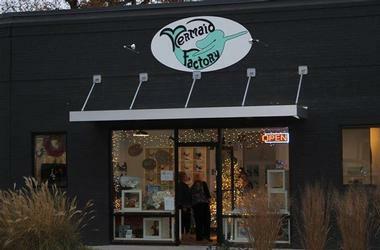 Mermaid Factory, located on West 21st Street between Colley Avenue and Hampton Boulevard, is a craft store and studio that makes clay mermaids and dolphins. All of the mermaids and dolphins are hand made in Norfolk. Visitors can purchase mermaids that have already been hand painted; or visitors can decorate the blank mermaids at the studio by using a variety of materials such as charms, fabrics, glitter, paint, rhinestones, shells, and much more. The studio can accommodate up to 25 people and can be rented for corporate events, parties, and more. The craft shop also sells other dolphin, mermaid, and nautical-themed gift items. Located on Waterside Drive, the Hampton Roads Naval Museum is a maritime museum that is a part of Norfolk’s Nauticus complex. Operated by the Naval History & Heritage Command, the museum commemorates the history of the U.S. Navy’s presence in the Norfolk area. The museum’s collections include ship models, naval prints, and underwater archaeology. It contains material on the 1781 Battle of the Chesapeake, the American Civil War, World War II, and the Cold War. There are also the remains of two Civil War shipwrecks, the USS Cumberland and the USS Florida. Outreach programs include lecture series, guided tours, and special temporary exhibits. Harbor Park is a 36 acre park that includes a baseball stadium located on Park Avenue on the Elizabeth River in downtown Norfolk. 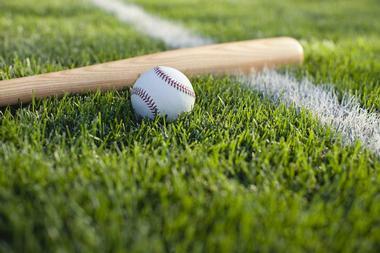 Opened in 1993, the stadium is the home of the Norfolk Tides minor league baseball team and it can seat 12,067 people. There are two decks of seating, a picnic area for private parties, 20 luxury skyboxes, a restaurant with a panoramic view of the playing field, and other concessions selling food and drinks to guests. 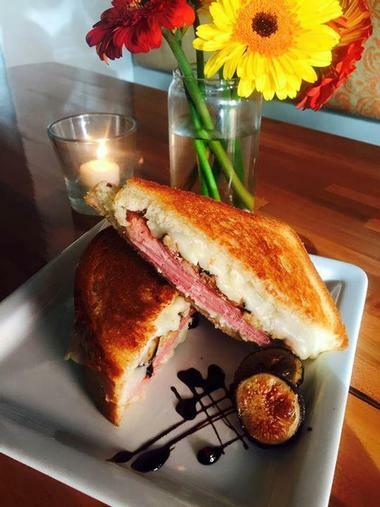 The Grilled Cheese Bistro is a cozy, casual, home-away-from-home eatery that serves a menu of classic comfort food and beverages. Owned by Dina Taylor and Chris Streebing who started the restaurant to share their passion for food with their community, The GCB's unique combination of freshly baked bread, fresh fruit and vegetables, locally sourced meats and cheeses and homemade sauces have come to delight the locals, who return time and again. 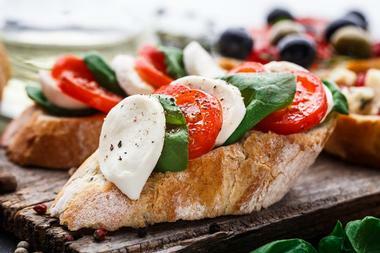 The menu features traditional sandwiches with a twist, such as the ‘Woody Allen’, a delicious mix of smoked salmon, fresh dill, brie cheese, and capers, or the ‘Don Quixote’ with creamy Gouda cheese, caramelized onions, sautéed mushrooms, and olive tapenade. Add a fresh garden salad and regular sides like French fries, and wash it all down with an ice cold draft beer or glass of wine. 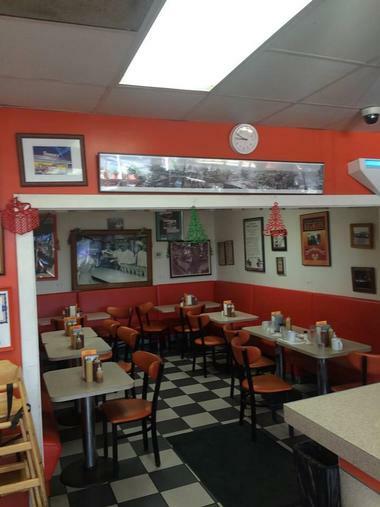 Doumar’s is a historical, family owned and operated eatery that has been serving classic all-American food for over 100 years. Located on Hampton Road, the casual diner and curb service restaurant is famous for being the birthplace of the waffle cone and for its fantastic made-from-scratch ice cream, as well as North Carolina-style barbecue and killer milkshakes. Founder Abe Doumar created the first waffle cone at the St. Louis World’s Fair in 1904 and the popular eatery has been serving waffle cone ice creams ever since. If you are looking for romantic date night ideas, this is a great place to try. Tuck into sizzling barbecue, hamburgers, hot dogs, and an array of sandwiches with various fillings, before finishing off with a decadent dessert, ice cream sundae, or custom-made waffle cone ice cream. 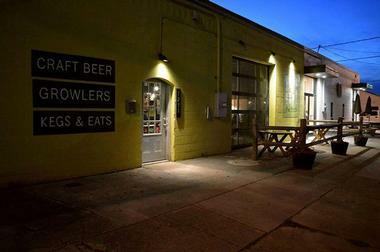 Supper is a stylish, Southern-style restaurant and bar that serves modern and innovative versions of Southern classics along with a sophisticated wine list and cocktail program. Owners Eric Stevens and Karl Dornemann focus on using fresh locally sourced ingredients to create mouthwatering Southern-influenced fare. Appetizers include fried oysters and fried green tomatoes while the vast entrée selection includes South Georgia- style BBQ spare ribs served with house fries and Supper slaw and cured bone in ham steak topped with a brown sugar and mustard glaze, sided by braised collard greens and a homemade biscuit. Desserts feature homemade pecan pie and chocolate chess pie while an interesting list of handcrafted cocktails, craft beers and wines from around the world adds the final touch to a perfect meal. Dine in the elegantly decorated dining room or alfresco-style on the vast rooftop dining area, which boasts breathtaking views over Norfolk. Norfolk’s vibrant food scene is fueled by eager, talented chefs and ambitious restaurateurs and now you can experience some of the best on a Downtown Norfolk Food Tour. Stroll around the city visiting local restaurants that serve an array of international cuisine, from traditional coastal dishes to ethnic and sustainable fare. Choose from a variety of tours that explore the history of each area and its culinary scene: The Granby Street Food Tour takes you through the heart of downtown Norfolk where you can enjoy a variety of traditional regional dishes as well as the modern cuisine at award winning restaurants. Since opening, The Birch has built up a solid reputation for offering an impressive list of craft beers, both local and imported, and an interesting menu of foreign and grilled cheeses. Friday nights see a special beer and cheese pairing menu served while on other nights, a regular menu of charcuterie plates, bar snacks, and melty grilled cheese sandwiches is on offer. The restaurant enjoys indoor and outdoor seating and hosts a variety of ‘themed festivals’ each week throughout the year. 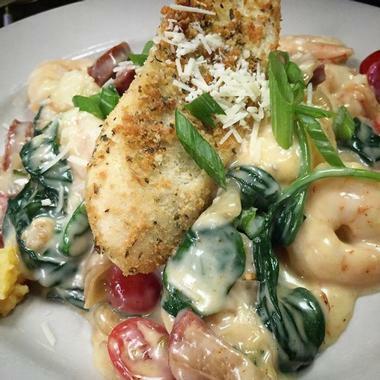 Located just a stone's throw from the Naro Theater in Norfolk's Historic Ghent, the No Frill Bar and Grill is a casual, relaxed diner with a warm and welcoming atmosphere and a menu of classic American cuisine. Open for brunch, lunch, and dinner every day of the week, the No Frill Bar, and Grill’s menu offers appetizers that include grilled portabella mushrooms and Nachos Grande, fresh garden salads, and hearty entrées such as meatloaf, Roadhouse ribs, and roasted chicken, as well as favorites such as hamburgers and grilled cheese sandwiches. The desserts and the coffee menu stand out with Key Lime Pie, Coconut Rum Cheesecake, Sheila’s Homemade Giant Six Layer Cakes and freshly brewed coffees. Sip signature cocktails and elegant martinis before dinner or bring the kids on a Sunday morning for the Grill’s famous Sunday brunch. Hunter House Victorian Museum is located on West Freemason Street in the Freemason District of downtown Norfolk. The historic house was built in 1894 for James Wilson Hunter, a banker and merchant, and his wife Lizzie Ayer Barnes Hunter and their family. Opened as a museum in 1988, the Hunter House contains Victorian decorative arts and furnishings that belonged to the Hunter family. The house is listed on the U.S. National Register of Historic Places. The museum also hosts many special events.